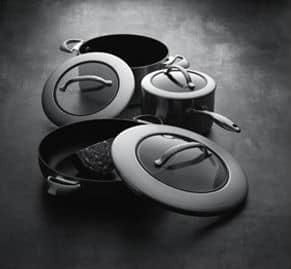 Scanpan CTX cookware is the first induction compatible cookware line from Scanpan. 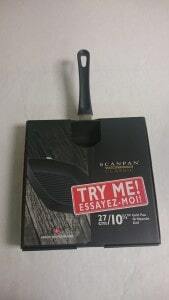 It is easy to go green with the new Scanpan cookware. 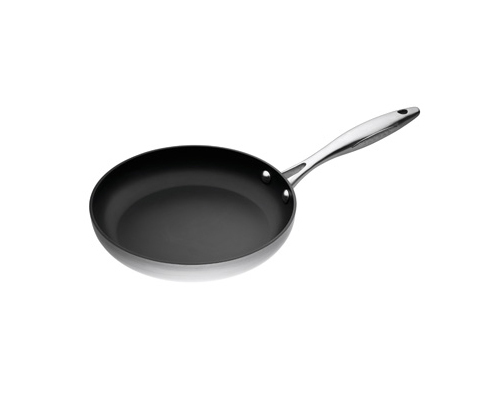 Made in Denmark, the CTX non-stick surface PFOA free, safe for your food and your family. It features a 5-ply hybrid technology — a fusion of layers of stainless steel and aluminum construction, along with a patented ceramic titanium surface. The exterior is brushed stainless steel, while the interior features ceramic titanium nonstick surface.